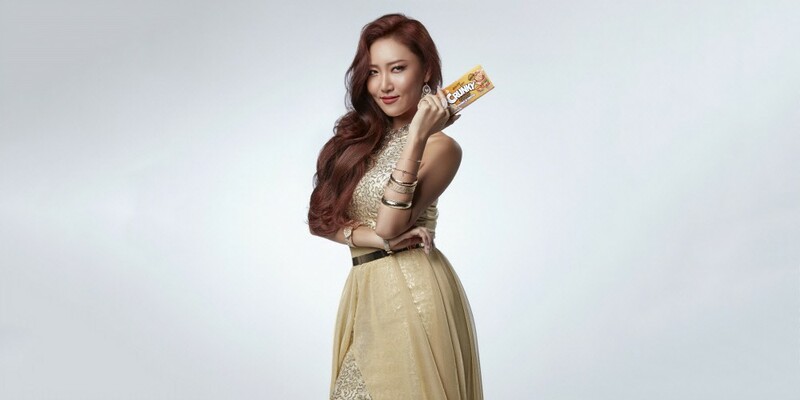 MAMAMOO's Hwa Sa�will now be the face of Lotte's chocolate 'CRUNKY'. She's been stealing hearts of everyone through her mukbang�on 'I Live Alone', and she'll now be promoting the crunchy chocolate. She'll be the first female model for the chocolate brand, which has always employed male models for a 'tough' image. She was chosen as the chocolate's first female model because she fit well with the new 'CRUNKY GOLD'. Check out her first promotional photo below. Her CFs will air on TV starting in November. Why her face look somehow weird here or is it just me?